Did you eat your porridge yet?!? Today (January 24) is the Laba Festival ( 腊八) or Rice Porridge Festival in China! On the Chinese lunar calendar, La is the 12th month of the year, and ba represents the 8th day of that month. So basically Laba means 12th month, 8th day. And that day is today!!! The Laba Festival (like so many Chinese festivals) is mostly famous as a food holiday, one where the Chinese cook and eat delicious foods like the Dumplings of the Ghost Festival, the Moon Cakes of the Moon Festival, etc. On the Laba Festival, people make different kinds of rice porridge filled with beans, nuts, dried fruit, etc. The next Laba will fall on January 13, 2019. According to the old stories, the Laba Festival was traditionally a day of offering sacrifices to the ancestors in honor of celebrating the harvest season. I’m not really sure if this was the “upcoming planting for later harvest” festival or a “after the end of winter wheat harvest” festival, none of my students seemed to know either. However, we do know that in the old days, the word for ‘sacrificing to the ancestors’ was ‘La’ and it happened on the La month (January-ish). Sometime during the Southern and Northern Dynasties (1st century AD) the festival was finally fixed to the 8th day of the La month. The myths say that the number 8 “Ba” was chosen because it was on that day (La Ba – 8th day of La month) that Sakyamuni (Gautama Buddha), an Indian prince, was able to finally achieve enlightenment and rise as a Buddha. Sakyamuni was the son of an emperor from northern India who grew sad when he saw his people’s suffering. He eventually abandoned the throne and chose to seek Buddhist enlightenment. One day, starving and tired, a young shepherd girl offered him porridge made of rice, giving him strength to continue on his way. A few years later, he attained enlightenment on the 8th day of the 12th month. In honor of his suffering and success, people began offering rice porridge to the Buddha every year on that day. Over time, the harvest festival and the Buddhist festival came together in one big celebration. Here in Dongbei (Northeast China), my students are all wishing each other Laba Day greetings and reminding each other to eat porridge. The porridge they are talking about is sometimes called Laba Congee instead. 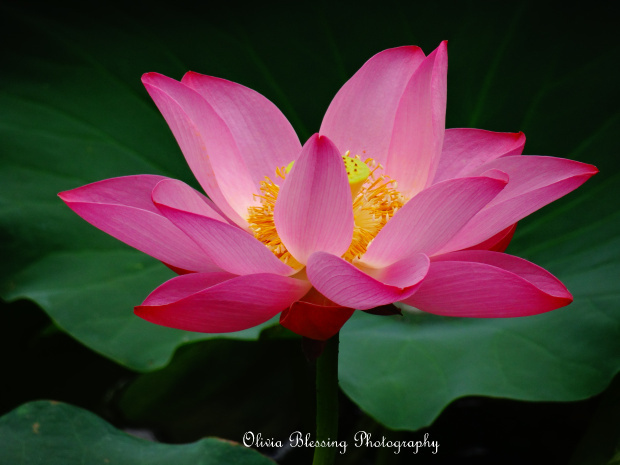 There are different variations; for example, some have lotus seeds and others have peas, fruit or nuts in it. Some have all kinds of stuff mixed together. Apparently some areas of China have meat or tofu in it, and some vegetables, because my friend posted a picture of that kind. Because it is the 8th day, the Chinese like to add in 8 ingredients to make the porridge (I love China and their love of numbers). So they boil it like normal porridge, with maybe some extra sugar to sweeten it. It takes several hours to make, especially the beans which have to soak. The first bowl is offered to the ancestors (for those who still honor them — it’s not quite as common here in China anymore, but the thought is there). Then some can be sent to neighbors or friends, grandparents, etc. Then the family eats the remainder together. Hopefully, you have plenty! If there is some left over, it means next year will be bountiful! (Remember this is still a harvest festival). Apparently in some of the old times, the businessmen and government officials would give it to the employees on Laba Festival as a treat, but it’s history goes even further back than that. 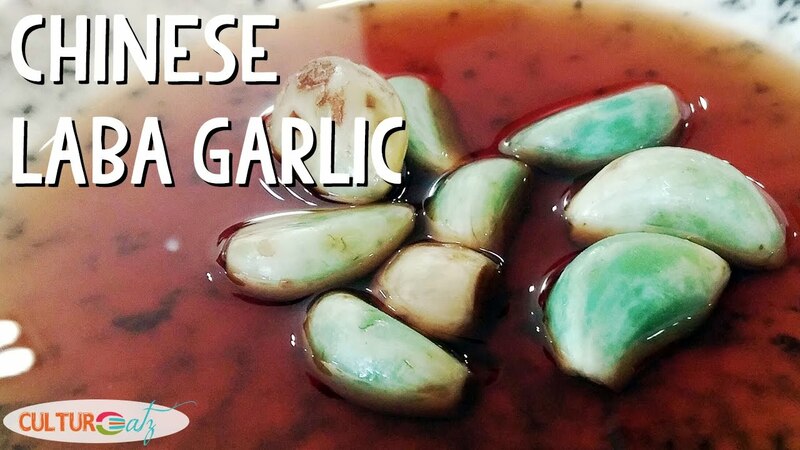 Some say it was originally served only to the ancestors during the Hong dynasty and later became more commonly served in the Song dynasty. A few say that it is made in remembrance of an emperor who grew up poor eating only congee and later asked everyone in the empire to eat it once a year to remember their origins. Whatever the origins, Laba porridge has been part of the festival since the Song Dynasty (960-1279 AD). Some people will also make Laba Garlic as well. A couple students I know have posted pictures of the process on their WeChat. They peel the garlic and add it to a jar. Then they fill the jar up with rice vinegar and sugar. Eventually it turns GREEN! They’ll keep it until the Spring Festival when they eat it for the holiday. The Goddess of Mercy in Chinese Buddhism is named Guanshiyin (观世音菩萨 — Guān shì Yīn Pú Sà) or Guanyin for short. The name means “one who always hears the cries of the world. While many of the Buddhist deities are rather frightening (as seen in their paintings and depictions), Guanyin is actually very highly respected for being merciful to her followers. There are many legends surrounding the lovely lady. Apparently, the original story (stemming from India) had her as a man called avalokitasvara. He was extremely kind and worked non-stop reaching out to those who cried out for help. Some actually claim he was the most powerful of all the Buddhist gods, and certainly most agree he was the nicest. It wasn’t until the Song dynasty (960 – 1279) that the deity was changed into a woman. The Indian name was translated into Guanyin, and the uniquely Chinese feminine version was born to become mother to the world. 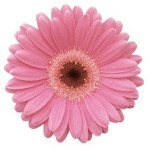 In China, the story is that she was a human who eventually became immortal through her good deeds and worthy heart. According to one story, she was holy and kind enough to find herself at the gate of Heaven. But, upon hearing the weeping and tragic cries of sorrow and pain from those suffering on earth, her heart was moved. Turning back from her place in the joyous realm, she returned and devoted herself to helping those in need. Thus her name — she always listens to and helps those who call out to her. Another story comes from 827-840AD (the Tang Dynasty) in the city of Xi’an. According to the legend, the Emperor at the time was a man called Wenzong. Now, Wenzong had the unfortunate love of clams, asking from clams day after day, three meals a day! But, if you’ve ever lived in Xi’an, you would know that it is very far from the sea–so clams were hard to find. And of course, he was not happy with any clams – they had to be fresh and delicious! So, every day before the light came up, the poor fishermen in Zhejiang’s ports would collect up clams and rush them inland. Then, finally a miracle happened! One of the clams they found was HUGE (20x the normal clam size). All agreed, this clam must absolutely go to the emperor. But when they tried to open it, they found that the clam was shut up and would not budge. When he heard of this strange even, the emperor himself came to see it. At last! Right before his eyes, the clam shell opened and inside was an elaborate carving of Guanyin. Looking into the statue’s eyes, he heard her beautiful voice echo in his ear — “These poor workers have sacrificed much to satisfy your simple pleasures. 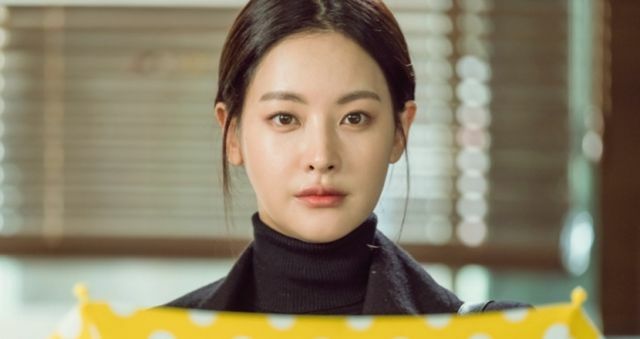 You are abusing your people and wasting their money.” The people had prayed for someone to save them from the painful, meaningless labor and the goddess had responded. The emperor learned his lesson! As a Buddhist deity, she seems to be an all around lovely person. She is known for reaching out to those who are ill, lost, abandoned, elderly, orphaned, and just generally in a tough spot. She is recognized for having eternal, unending love for people and the kindest of hearts. She is often a fertility goddess who gives children to those who need them. Always there to help, she is the supporter and defender of the unfortunate. She also helps guide the lost and missing, and has become one of the “sailor’s” deities. The fact that legend has her living on an Island in the South of China has contributed to this theory — thus the frequent depiction of her with pearls from the ocean or rising from a shell or lotus blossom like Venus. Even here in Xinzheng, Henan we have a statue of her–you’ll find them scattered all over China. I’ve been told both the Shaolin Temple (China) and Kiyomizu-dera (Japan) are dedicated to her. My good friend Harry in front of a Statue of Quan Yin in the Zheng Garden. 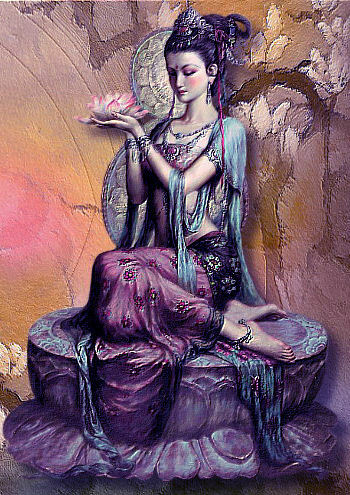 Most images of Quan Yin show her in bare feet with ancient Chinese-style thin, blowing in the wind kind of clothes. 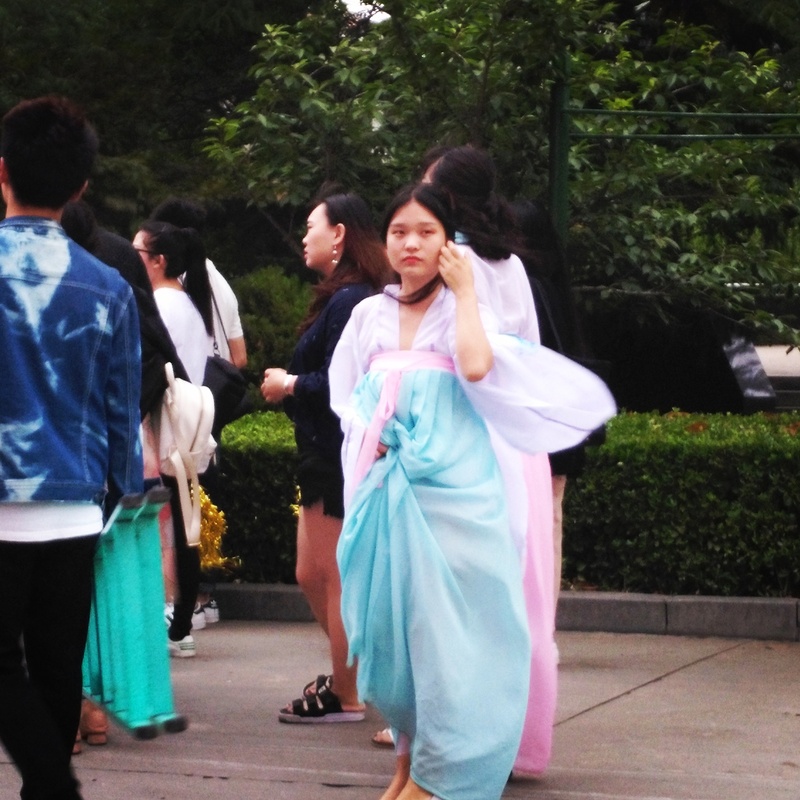 They always bring to mind the lovely ladies of wuxia (Chinese historical) dramas or the old films. Lithe, graceful, elegant — an all around perfectly kind, beautiful, and gracious woman inside and out. Usually, the pictures show her alone or with two other people. Sometimes she has a child in her arms. At other times, it is two soldiers who defend the faith. The first is general Guan Yu, a real man made famous in the fictionalized story “The Romance of the Three Kingdoms.” Honored for being very loyal and virtuous, he is still prominent in the Buddhist faith. According to the believers, he not only fought of enemies of the country, he defended the righteous from demons as well. The second is Wei Tuo, a young prince who proved faithful to Buddha by protecting the holy relics. Together they stand guard as the goddess works her wonders. Sometimes you’ll see the goddess of mercy in a different way, with several heads and hundreds of arms. There are several versions of the story as to why she has so many arms and heads. You can read one version here. Another version says that she dedicated her life to helping people in need, promising that she would not stop until she had helped everyone. Eventually, she realized that no matter what she did, there were still too many people. Frantically thinking about all that was left to be done, her head finally exploded into eleven parts. Concerned, one of the buddhas came to help her and ended up offering her eleven heads to hold the eleven parts. But now, hearing the cries so much better with her 22 ears, she became even more upset–pulling herself in many directions trying to read everyone at once. Reaching. . . reaching . . . finally her arms just shattered. Again the buddha reached out to the poor, good-hearted goddess and offered her one thousand arms to hold all those pieces so she could help more people. Thus the statue in Kaifeng has 1000 arms (although they follow the first version of the story instead of the second)! 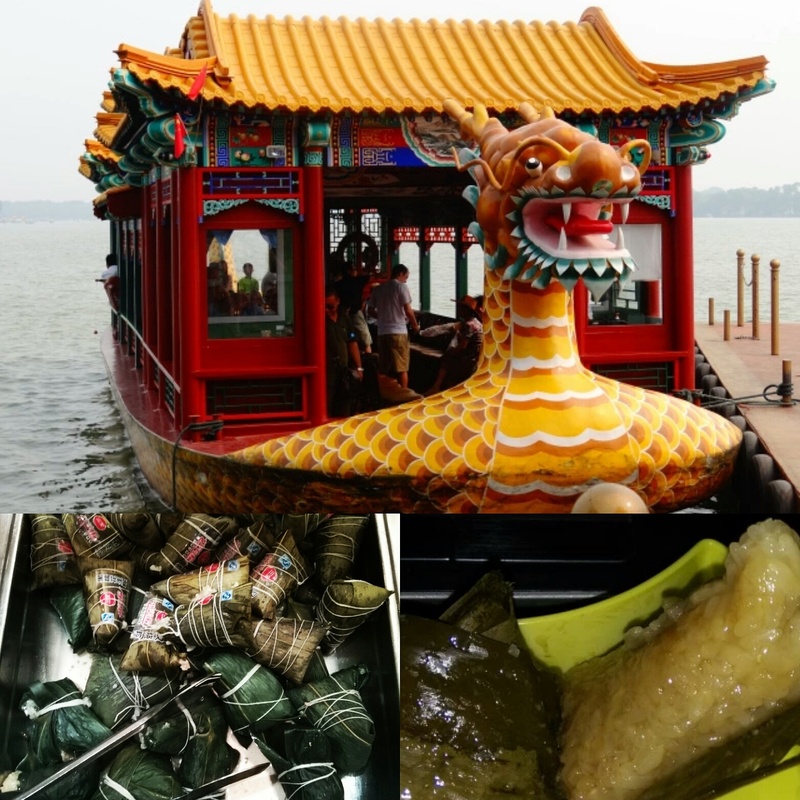 Life in #China – Happy Dragon Boat Festival! Happy Dragon Boat Festival! Today in #China we are celebrating the Duanwu #端午 festival! It’s been a Holiday here for more than 2000 years! It celebrates the Famous #poet #quyuan. Devoted to #China 🇨🇳, he wrote beautiful poems about its history, nature, and people. When the invading Qin armies approached, he chose to drown himself rather than see his beloved country fall. Although they sent out many #dragon boats to look for him, they could not save him in time. So to commemorate his memory, every year they eat #粽子 (aka Zongzi), a sticky #rice #treat wrapped in banana leaves. And the big cities send out Dragon #boats for big battles and races on the lakes and rivers! Cool! Wanna climb the pagoda? 😊 The beautiful sight greeted me on the way to classes. It’s a lovely pagoda up on the hill and part of a park in the middle of our campus. I love all the #colors! Happy Mid-Autumn Festival from China to you! Today (September 15, 2016) is the Chinese Mid-Autumn Festival (Zhong Qiu Jie). The festival will fall on the 15th day of the 8th month on the lunar calendar, which just so happens to be today for 2016. Although today is the official day of the holiday, most people in China will take a 3-4 day weekend to celebrate. 🙂 For example, at our university all classes are cancelled for Thursday – Saturday, with Friday’s classes made up on Sunday. The moon has a special place in the world of Chinese art and culture, with many of my students great enthusiasts of the “romantic and beautiful night sky.” So during the Song Dynasty, the Mid-Autumn Festival or Moon Festival was created to celebrate the Harvest Moon. This is supposed to be the brightest, biggest, most beautiful moon of the year. One of the best and largest part of the Mid-Autumn Festival is the tradition of eating what are called “Moon cakes” (月饼 – Yuè Bĭng). 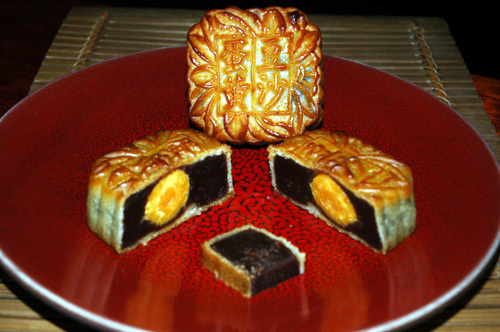 Moon Cakes are little pastries or cakes about 4 inches around and 2 inches thick. The pastry crust tends to be pretty thick and then inside are any variety of treats or fillings. Most common in Henan is the red bean or Jujube paste, but there are many others with nuts and fruits inside. (I’m not terribly fond of the paste ones, but a few of the nut versions are pretty good.) The pastry top will somehow be stamped with a Chinese character of good fortune luck, peace, happiness, etc. They are usually passed around to family, friends, teachers, business colleagues, etc. Visit a Chinese shop before the holiday and for at least two weeks they will be selling these cakes like crazy. Another famous legend about the festival is that of a tragic romance. In the west, our culture has the beloved Man on the Moon, but in Chinese it’s the beautiful Chang’e, Lady on the Moon. The story says that centuries ago there live a famous hunter, Hou Yi, and his wife Chang’e. At the time, the world was surrounded by 10 suns and they were burning the earth and its people to death. A brave man, Hou Yi took his bow and arrow and went out to shoot down nine of the suns. He saved the world in the end. As a reward, he was given a special potion that contained immortality. However, because he loved his wife so much and because the potion was only enough for one person, Hou Yi refused to drink it. After this, he was very famous and many people came to learn from him. But some also came to steal from him, including one wicked man. One day while Hou Yi was out, the evil man snuck into the house and attempted to steal the potion from Chang’e. She realized she could not keep him from taking it, and so drank it herself. The potion immediately gave her immortality, and her body flew up, up, up and up to the moon. Heartbroken, Hou Yi came home and prepared a feast on a table under the moon in honor of his wife and in the hopes that she would see his efforts and know how much he missed her. So (according tot the legend), ever since the Chinese like to eat big meals under the moon to remember her sacrifice and to celebrate their own families. My Chinese friend called today asking to hang out. When I asked what was up, she said she intended to go home today but her brother called and warned her not to travel today. Apparently today the province is celebrating the Hungry Ghost Festival. It falls on the 15th of the 7th lunar month. According to my friend, they believe that today many ghosts are able to travel around the country. This is why my friend couldn’t travel- she has to leave the way clear for the ghosts instead. Instead many adherents will go to the graves and leave lots of food for the hungry wanderers to eat. 4 Year old and her 6.5 year old sister. The older sister starts English classes tomorrow, and they both knew the ABC song! Twin 4-year olds. They start Kindergarten this year and are excellent Bubble-blowers! Each year, this organization hosts the annual TAIWANfest, and this year it’s going to be called “Dialogues with Asia” starting with “A Cultural Tango with Hong Kong.” The event’s purpose is the “engage Torontonians and Vancouverites in a cultural dialogue to better understand Asian cultures.” But I’m sure they’d love for people of all locales to stop buy and participate! Sounds like a great opportunity to learn more about not only Taiwan (an awesome place – most of my students say that it is actually more like old-style, traditional China than even the mainland) but also other countries in the Asian sphere. You can see the schedule for August 26-28 here and September 3-5 here. Special events include an International Pan Asian Culinary event and “A Cultural Tango with Hong Kong Symphony” Check it out!